Lipsticks are my favorite makeup products! If I have to choose one makeup product, I’ll absolutely choose lipsticks! However, there are lots of colors and shades of lipsticks. So sometimes it can be hard to choose one of them. Or it can be hard to take all of your lipsticks with you to another place. That’s the reason why I’m going to show my favorite lipstick kit to you! If I’m in a hurry, or going to go to another city or country I always take these lipsticks with me and choose one of them to wear. I hope it can help you to get an idea about the lipsticks and their colors. You may like one of them and add it to your makeup collection. I think that this is the most important piece of my lipstick kit. Because I use it in my everyday makeup. As you can see from the picture it looks very natural because its color is really similar with my original lip color. That’s why it is my favorite lipstick to wear everyday. By the way, it suits lots of eyeshadow colors, from darkest to lightest. Additionally, it has a matte texture so I usually prefer to apply a moisturizer under this lipstick. I use Nivea Med Repair because it has no color so it doesn’t change the lipstick’s color. If you want to make your matte lipstick look more creamy, you can also try this method! Pastel is a Turkish brand so this lipstick is pretty cheap for me. 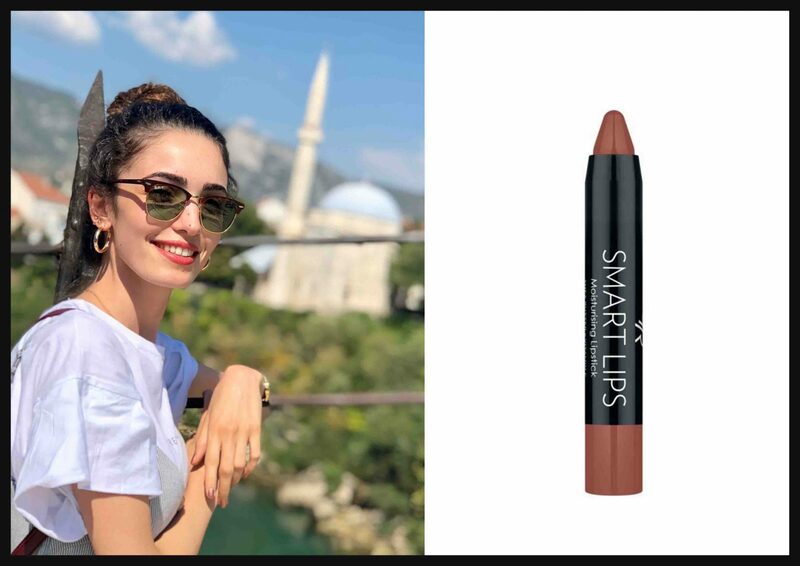 You may not have this brand in your country, but I think the point of this topic is to find a lipstick which suits with your original lip tone very well. So this lipstick can in any brand you have in your country. Finally, I want to suggest a lipstick which is similar with Pastel, but a bit darker. I sometimes prefer to use Maybelline New York 988 Brown Sugar Matte instead of it. If you want something natural but a bit brownish you can prefer this one! If you like pinky tones as I do, you’ll love this color! Because this lipstick has a cute tone of pink and it is really pigmented. It has a creamy and shiny texture so your lips can look like a barbie girl! It is an important piece of my lipstick kit because I prefer to use it when I want to look a bit chic and beautiful, but still natural. However, I don’t prefer to apply it full. I like to wear this lipstick with a brush. I think that, it looks more natural when you wear it this way. I don’t need to apply a moisturizer under this lipstick because it is creamy enough to feel comfy. It is a little bit expensive but I think you’ll understand the difference about its texture when you wear it. And it can stay long times on your lips. So that’s why it is worth it! By the way it smells very nice. If you are not very into lipsticks or if you don’t like pinky tones, this can be your favorite! I always have my Golden Rose mousturising lipstick in my lipstick kit. Because it looks very shiny and natural. So I can wear it in my everyday makeup. It has a little peachy tone and it moisturizes your lips very well. It contains shea butter and Vitamin E. It is more like a lip balm so it protects your lips and make you feel soft and colored lips. I think that every woman need a red lipstick in their lipstick kit. Because, they are the stars of night dates or events! That’s why I always take one red lipstick with me. And I think this tone of red suits my skin tone very well. Furthermore, it has a very nice texture. You can wear it very easy and it doesn’t stick on anything. Maybe it is not very cheap but I think that you don’t wear it everyday so buy a great one and use it for long times! You can see the details of this outfit from here. And also I have some outfit suggestions for these lipsticks, should check it out! I don’t think a lipstick kit without burgundy! It is one of my favorite color even in makeup and clothes. I think that burgundy is a color which makes you look so chic and cool everytime. So I’ll always take my Estee Lauder lipstick with me. It has a very creamy and shiny texture. So it is easy to wear it and also it stays all day on your lips. I know it is a bit expensive again but as I said before we don’t use these colors in our everyday makeup. In my opinion this is a color which suits for events, meetings or weddings. So don’t afraid to buy a good one! Finally, if you looking for a total makeup kit, you should visit the link below. It is only 16$! Amazing! 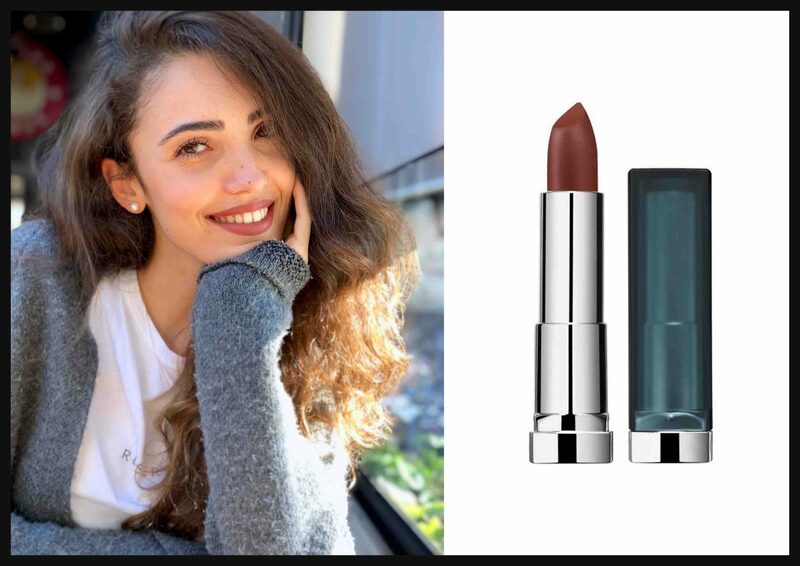 I hope you like my favorite lipsticks or you may found some information about a lipstick that you decided to buy. You can write me your favorite lipsticks in the comments. I would like to try them! See yu at the next article! You showed some lipsticks in a photo on pinterest.com listed as travel kit. Are they sold as a travel package as the photo shows? If so, where & how much & can they be mailed?